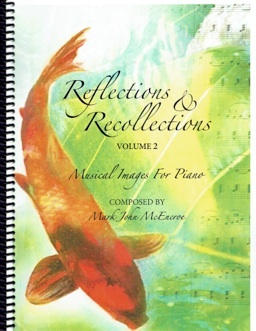 Reflections & Recollections, Volume 1 is the companion sheet music book to Mark John McEncroe’s debut CD by the same name. The book contains all thirteen songs from the recording AND a copy of the CD. 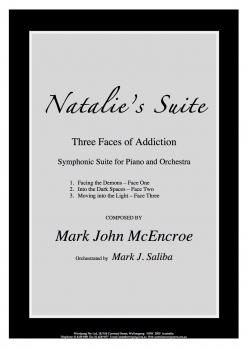 McEncroe’s music is strongly influenced by the French Impressionists, which is readily apparent as soon as you start playing most of these pieces. Some of the music was inspired by the koi and bonsai in McEncroe’s Japanese courtyard garden, and several have a water theme. I also find a Baroque influence in a few of the compositions, so there is quite a variety of music between the covers of this book! My favorites are “A Fish with the Blues” (love the title!!!) and “Andante Moderato.” Most of the pieces are fairly slow and none have difficult key signatures. The notation of the sheet music is clear, crisp and easy to read. Some of the timing is rather challenging, and there are quite a few chords that have a very wide reach. Most pieces include metronome settings, and the dynamics are clearly marked. The music is not simple, but most pianists at an early-advanced playing level should have no problem mastering the pieces. 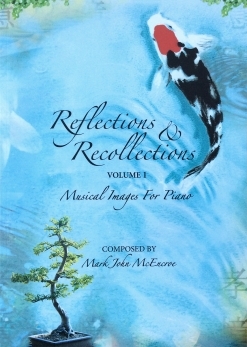 The Reflections & Recollections, Volume 1 songbook is available from markjohnmcencroecomposer.com.